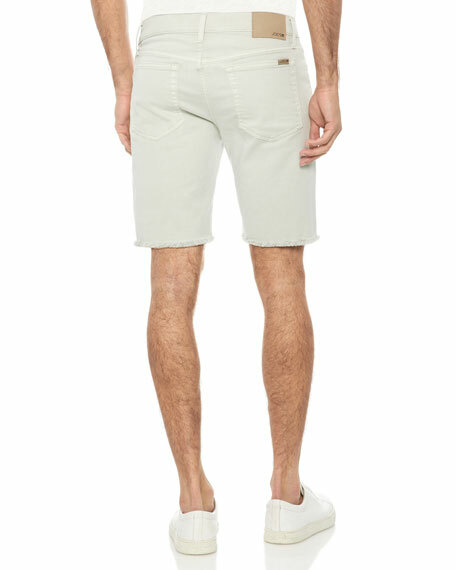 Joe's Jeans Bermuda shorts in stretch-denim. 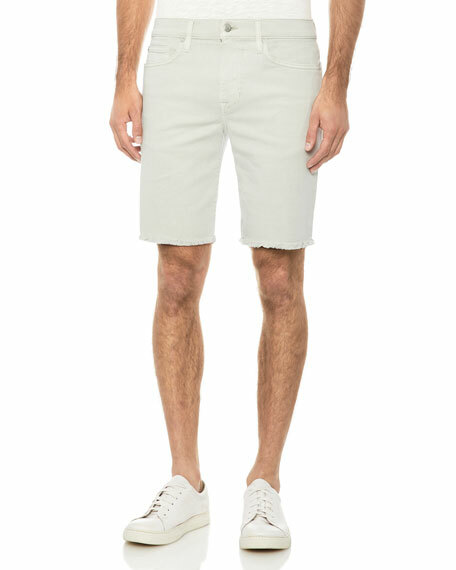 EXCLUSIVELY AT NEIMAN MARCUS Kiton shorts in stretch-cotton twill. Side slash pockets; back button-besom pockets. Regular rise. Slim fit; straight leg. Button/zip fly; belt loops. Cotton/spandex. Made in Italy. Model's measurements: Height 6'1"/185cm, waist 32"/81cm, typically wears size M.
Peter Millar "Montreal" training shorts in action stretch tech fabric. Elasticized waistband. Side slip pockets. Relaxed straight legs. Pull-on style. Peter Millar "Montreal" training shorts in action stretch tech fabric. Elasticized waistband. Side slip pockets. Relaxed straight legs. Pull-on style. Polyester. Imported. Model's measurements: Height 6'1"/185cm, waist 32"/81cm, typically wears size M.